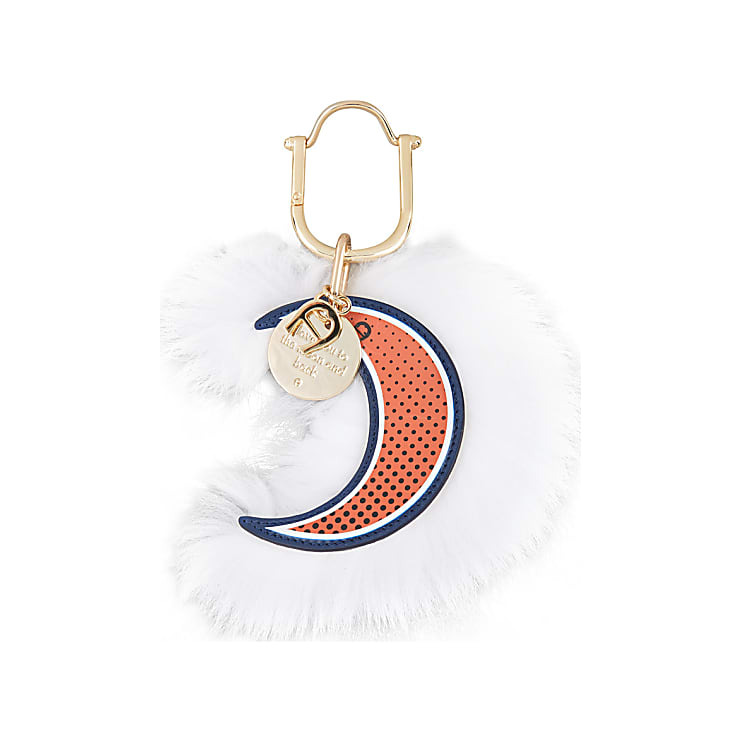 The moon charm is presented in strong contrasting colors. The leather comes in dark red with fine blue dots, while the fur provides a clear contract in a bright white color. 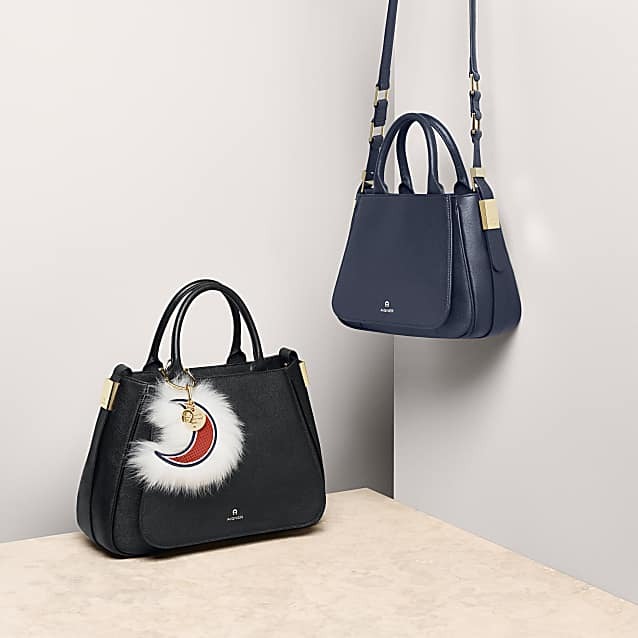 The light gold-colored charm on the spring hook impresses with its charming engraved saying and immediately engenders a good mood.